Botox info - Toronto Dermatologist - Dr. Solish. Today, Canadian sufferers have more resources and options than ever before. The International Hyperhidrosis Society (IHHS), a newly-formed global organization that supports those suffering from the condition, has a comprehensive web site, www.sweathelp.org. Another resource specifically for Canadians, www.sweatmanagement.ca, offers a Physician Finder with over 100 names of doctors to those looking for professional help in their area. "Until recently, the information available to the public and to doctors on treatment options for severe sweating was very limited," says Dr. Nowell Solish, Dermatologist at Sunnybrook and Women's Health Science Centre and a Board Member of the IHHS. "In fact, many doctors still don't know about new solutions for severe cases, such as BOTOX® injections, and how they can alleviate the condition dramatically for most patients." The latest treatment option for hyperhidrosis is BOTOX®, which was approved in 2001 by Health Canada for the treatment of axillary hyperhidrosis, or excessive sweating in the underarms. BOTOX® is administered via tiny injections within the skin of the affected area, and blocks the release of the chemical that signals the perspiration. 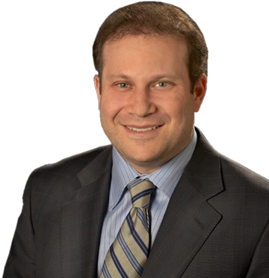 Dr. Solish has been using BOTOX® for years to successfully treat patients. "Many of my patients are anxious, depressed, even suicidal because of this problem - it truly rules their lives and can negatively affect both their productivity at work and their personal relationships," continues Dr. Solish. "Often, they go undiagnosed, or are misdiagnosed or untreated due to lack of awareness about solutions even among physicians. BOTOX® injections and other treatment options have offered new hope to these sufferers and can provide peace of mind by controlling the sweating. Word is starting to get out that there is help." Vancouver patient Tanya Threatful admits that her excessive sweating, which first appeared in her late 20s, ruled her life socially, professionally and emotionally for years until she tried BOTOX®. She lost her job as a sales representative because she could not concentrate while interacting with customers - something she attributes directly to her embarrassing sweating problem. She also avoided intimacy with her boyfriend and passed up social invitations to friends' cottages and other parties due to her life-altering condition and the anguish it caused her. 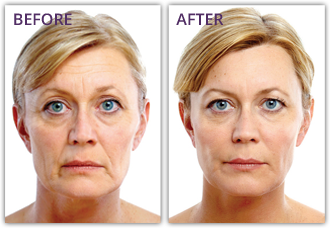 "BOTOX® allowed me to resume my old life - in fact, it changed my life completely. After my first injection, it was like a whole new world opened up for me. I could wear whatever I wanted and not be afraid of looking and smelling sweaty," says Tanya. "I was no longer insecure, withdrawn or introverted. I could be the social, confident person I always was inside. My life improved 100 per cent because of this treatment." Twenty-one-year-old Toronto student, Betty Smith, feels the same way. After suffering through high school - enduring taunts from peers and longing to wear the fashionable outfits of the popular crowd - Betty even tried super-strength anti-perspirants, but to no avail. She was finally referred to Dr. Solish after two years of research and has never looked back since her first BOTOX® injection. "I can finally speak to people confidently, without having to constantly doubt myself and find the nearest bathroom where I can change my clothes," confesses Betty. "I don't want other girls to have to go through what I did in high school. They need to know they aren't freaks and that there is a solution!" BOTOX® treatments for underarm excessive sweating last for seven months on average and achieve high patient satisfaction. In clinical trials, sweating was reduced by 83 per cent within one week. The only side effect observed during the clinical study was perceived excessive sweating in other body parts, which happened in 4.5 per cent of patients. Others include discomfort and bruising of the injection sites, which is common with any injection procedure. Other treatment options for milder cases of hyperhidrosis include topical antiperspirants of various strengths, which contain aluminum chloride; or iontophoresis, a treatment that sends electricity to the affected areas, using a battery-operated machine. For more severe cases, surgical options such as ETS-C (Endoscopic Thoracic Sympathetomy by Clipping) may be considered. Most treatments, including BOTOX®, are covered by many private health insurance plans.